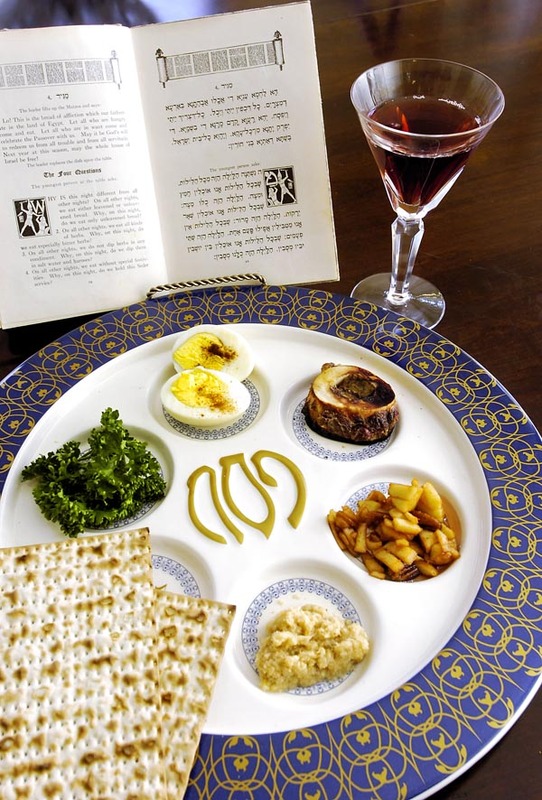 In the liturgy of the hagadah for both seders on the first nights of Pesach (Passover), we read the famous exchange regarding the four sons: the wise one, the evil one, the simple one, and the one who does not know how to ask questions. The ancient author of the hagadah finds the references to these four types of sons in the Torah, in various places where Pesach is addressed. It is from these places that the hagadah gives the answers we are to give the various sons when they ask their particular questions. Interestingly, the answer we are to give the evil son is the same as the answer we are to give the son who does not know how to ask. 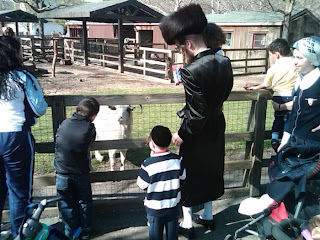 The Aish Kodesh (Rav Kalonymos Kalmish Shapira zt"l) writes that this is because both children are unable to see the holiness of the complexities of Judaism, and are given the same answer to draw them closer to the emes (truth) and kedusha (holiness) of G-d.
Just before these four sons are introduced in the hagadah, we read the words, "Baruch hamakom, baruch hu, baruch shenasan Torah l'amo Yisrael" ("Blessed is the Omnipresent, blessed is He, blessed is the Giver of Torah to His people Israel"). 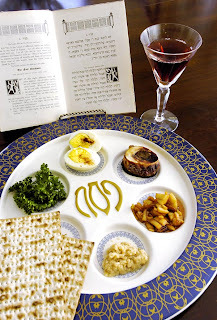 The author of the hagadah clearly set up the order of the seder in a way that is meant to convey something special and significant, but what is the connection between our blessing G-d and the four sons? In shacharis (morning prayer service), we ask G-d "racheim na aleinu, v'sein b'libeinu binah," meaning "please have mercy upon us, and place in our hearts understanding." The Aish Kodesh explains that this is a statement of faith in G-d's keeping of the entire Torah. Because there is a mitzvah in the Torah to teach the wisdom of Torah to our children, the mitzvah is also incumbent upon G-d as well. Therefore, in this prayer, we are saying, "G-d, just as we are commanded to teach our children, so are you commanded to teach us, so please teach us the understanding of the Torah." With regard to the four sons in the hagadah, we are given specific answers tailored to fit the needs of each child, as we are required to help them broaden their understanding of Judaism and G-d. The same is true, then, of G-d, who must also teach even the most wicked among us to understand Torah and draw him closer to truth and holiness. This is why we say the words, "Blessed is the Omnipresent, blessed is He, blessed is the Giver of Torah to His people Israel," before speaking of the sons. We are stating out loud that because G-d is complete Truth and has given us the Torah, which is the expression of complete truth, G-d must teach us to understand the Torah in ways that are uniquely suited for us, even if (as it says of the evil son) our teeth must be blunted and we must undergo trials and difficulties in the process.